Welcome to the Rodin Consulting Group. We help our clients get the Right people "on the bus", select the Right people to "drive the bus" and determine the Right direction to "steer the bus." 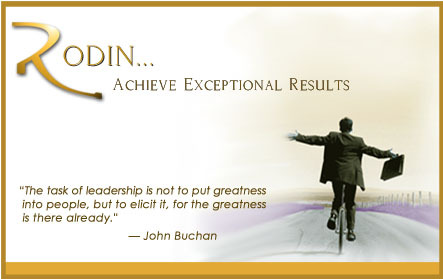 If you need help with Strategic Talent Management, from HIRING, LEADERSHIP TRAINING and STRATEGIC PLANNING, then contact RODIN CONSULTING.